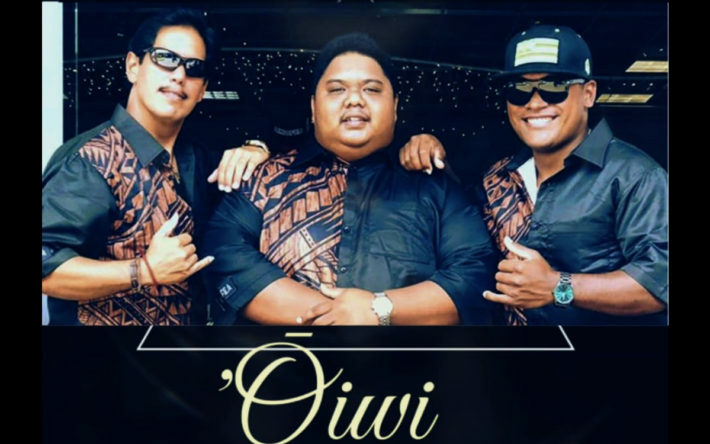 Week four’s musical group is ʻŌiwi, consisting of musicians John Kepa Mahi, Kawaiola Yaris and Bronson Aiwohi, pictured above. Mahi, from an early age, played in local venues. Sometime in high school, his leo ki`eki`e, or falsetto, broke out. His singing brings chicken skin. It’s just about a year since Mahi began gigging with Kawaiola Yaris, son of the highly-regarded, now-deceased Kumu Hula Doric Yaris, and word is that he can play anything — not only musical styles, but also numerous instruments. “Hands down, he is one of the best talents I have met in my life,” says Mahi of his band mate. Bronson Aiwohi, the youngest member of ʻŌiwi, plays rhythm guitar and has clean vocals and the true new-age style of singing contemporary Hawaiian songs, like artists John Kruse, or the `Opihi Pickers — and he plays Makaha’s songs. All EKK gigs are held from 6 p.m. to 9 p.m. in the Jasmine Ballroom of the Aqua Kaua`i Beach Resort, located near Lihu`e Airport. A suggested donation in the calabash of $10 -$15 or more treats you to an unforgettable evening of aloha from the heart. A no-host bar and food concession in the ballroom operates throughout the event. All EKK events are open to the public. The E Kanikapila Kakou 2019 Hawaiian Music Program is funded in part by the Hawaiʻi Tourism Authority, supported by the County of Kauaʻi Office of Economic Development, the Kauaʻi Beach Resort, and the GIAC/EKK supporters. 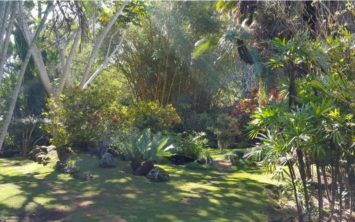 Garden Island Arts Council programs are supported in part by the State Foundation on Culture and the Arts through appropriations from the Hawaiʻi State Legislature and the National Endowment for the Arts. Next Monday, February 18, 2019: Mālie Foundation presents a Community Hula Night and `Ukulele Paradise, a nine-member troupe from Japan joins in at EKK.